This July's box review is a month late, I know, and that is because there were some problems with my July box and I was caught up in between, but we will get to that later. But the delay also gives me some time to try out all these products for a review. So this month's theme is PARADISE! I am absolutely captivated by this month's box because I am a fan of banana leaves and palm trees. To be honest, I love every bit of a subscription box, especially their boxes, and boxes with an appearance like Look Fantastic July Box is definitely going to my collection. All along I have been keeping these subscription boxes, to fill them with all my cosmetics or scarves etc. and this month's box is going to be out in the open as a display. This month's beauty box comes with 6 items, in which 2 items are in full size. 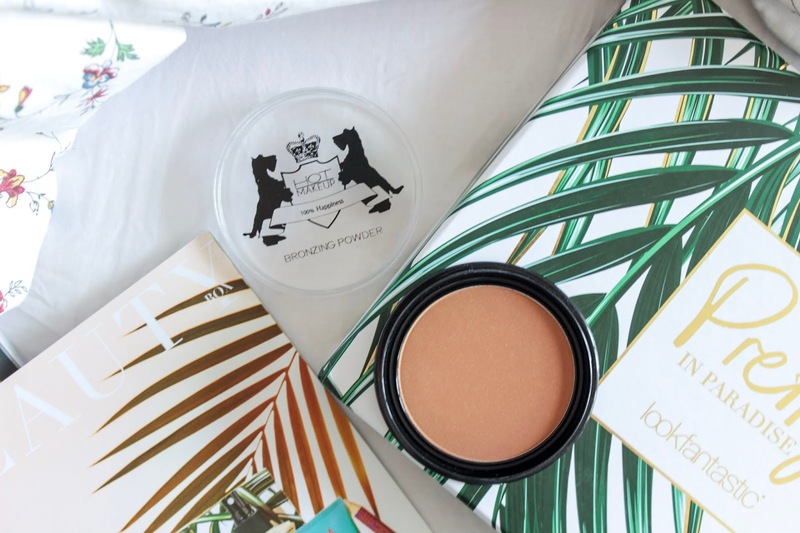 My favorite items from this month's box has to be the Moroccan Oil Hydrating Styling Cream and the bronzer from Hot Makeup. However, as I have said above, I am not satisfied with the standard of products I received this month. Possibly this is only a problem happened in certain batch of boxes or problem, but as you can see from above and more below, the Cowashed toner and the highlighting pencil is completely damaged. I have seen other bloggers' products from this month's subscription box, and the toner is nothing like what I have received. The bottle I had is in irregular shape and bent badly, the label crumpled and hardly attach to the surface of the bottle. The highlighting pencil I received is a complete meltdown, the tip is melted to the cover of the pencil. The little confetti paper in the box are also in bad quality and different from what they have used before, the green color from the paper has other products colored, some even went into the sunscreen. This is highly unacceptable. This should be the highlighting product of this month's subscription box. 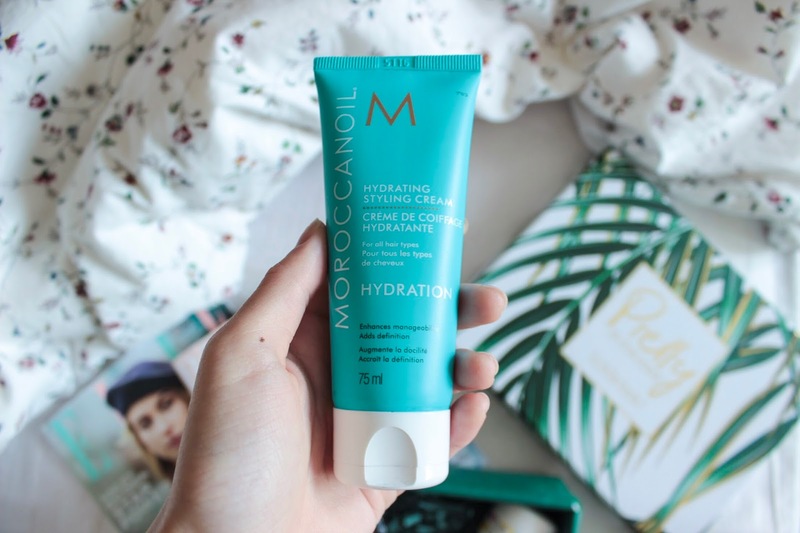 As everyone knows, Moroccan Oil is a famous hair styling brand. 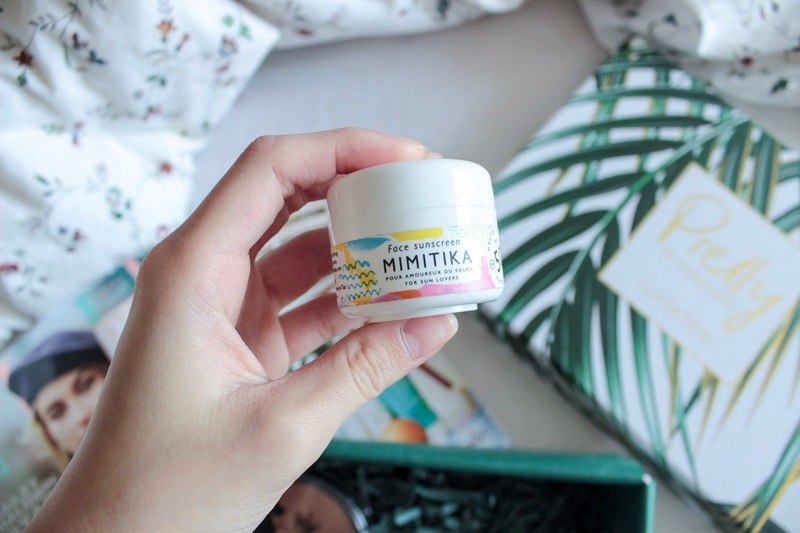 This hydrating cream is the best product I have ever used in this brand, the cream is lightweight and can fully hydrate my hair immediately. 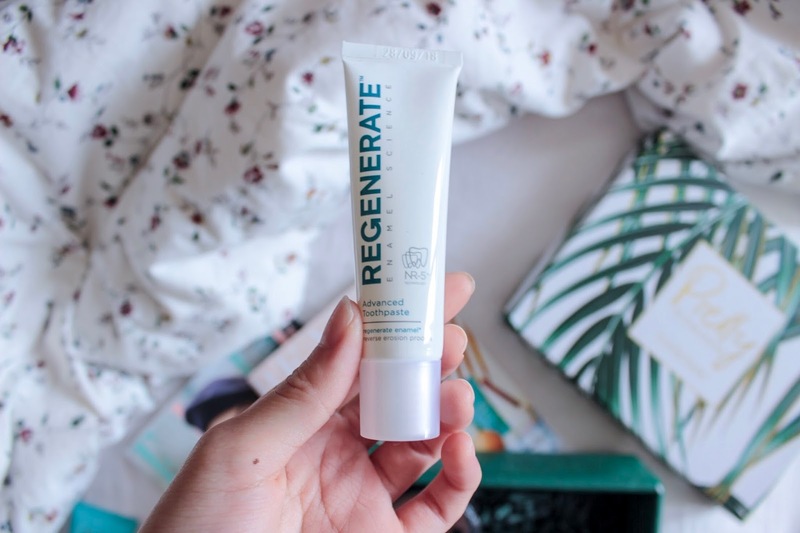 I have very dry hair because of all those bleaching and coloring, but I style my hair everyday with this hydrating cream, it immediately gives me all the shine and glow I need. I love using bronzer in the summer, it always give me a sunny glow and sun-kissed skin. I have very pale skin, and my face is always paler than my body so I always use bronzer to sculpt my cheekbones. I love it when bronzer comes with shimmery, it is always lovely to look at when the sun ray hits your face reflecting the bronzer and the shimmer. The powder is also pretty smooth and easy to apply, I would say it is a pretty good deal as it is in full size. I personally do not use face sunscreen, only when I am travelling to tropical places. I know it is unhealthy for my skin, but I just do not like applying that many layers before my makeup, especially most face sunscreen are greasy when it is in high SPF. This face sunscreen, I would say it does not have the best scent, but it is not greasy and absorbs by the skin pretty quickly. This toner smells refreshing and is pretty hydrating. I personally am not a fan of chamomile scent, although it is not a strong scent in this toner, so it is acceptable. But if you like chamomile, you will like this toner. I would not say this is the best toner I have used because the hydration does not last very long. I have not really used this highlighting pencil, only tried it once on my hand. The color is really pink compared to what I have used before. The texture is pretty easy to blend as well. Sadly, the pink tone is only suitable for people with pale skin. I cannot guarantee for its function in enamel recovery but I do love its scent and taste very much. The toothpaste is very minty and refreshing, after using it, it feels like I have used mouth wash for a few times. Overall, I would say this month's subscription box is rather fair, some of the products are really really good, and some are just mediocre. I would have felt greater about it if it wasn't for the bad quality products I have received. But it is still a pretty good deal with all those products in this low price. Let me know what you think about this month's box! Do they include any of your favorites? Comment and let me know!